At a time of 24/7 connectivity with consumers assuming unprecedented control over every purchasing decision, it’s never been more important to deliver a flawless foodservice experience. Qwickserve is designed to make the lives of customers and c-store operators easier to manage and control. 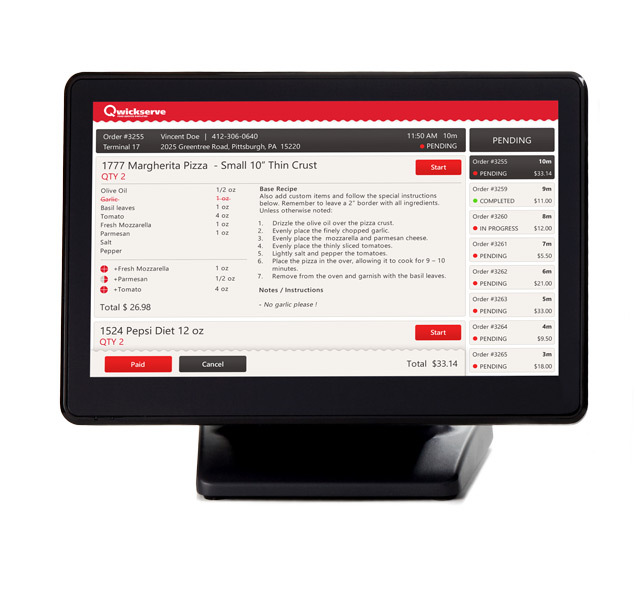 Qwickserve enables c-store customers to order foodservice items from an in-store touchscreen kiosk or from their personal digital device and provides a seamless ordering process, sending a paid customer’s order straight to foodservice staff. Tableservice (full-service) and limited-service restaurants can leverage technology to attract new customers and maintain existing customers through end-to-end restaurant solutions that optimize both front-of-the-house and back-of-the-house operations. Technology can increase sales with easy access to menus, self-service ordering, build-your-own/order customization, and promotions technology. 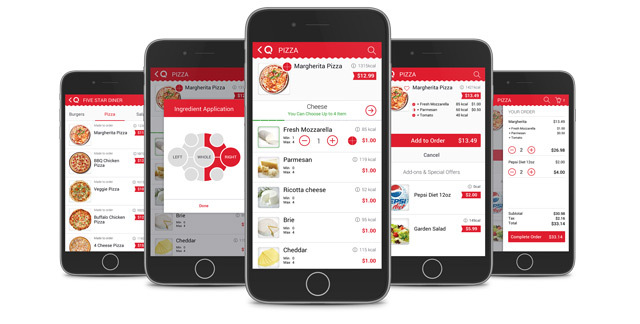 It can also streamline ordering with point-of-sale (POS) and kitchen display integration which can automatically queue orders and provide recipe time and food preparation instructions. 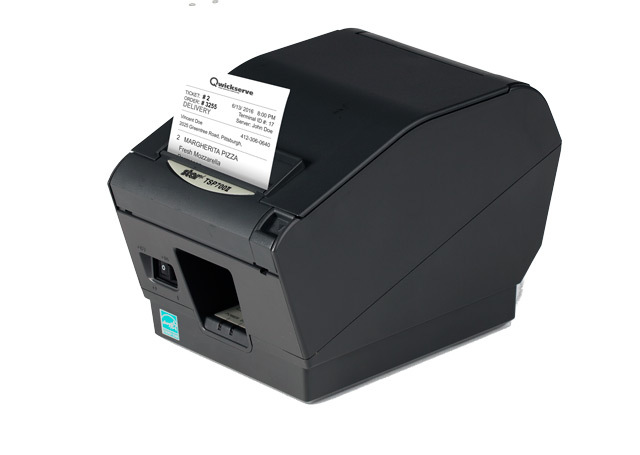 This can greatly cut down on labor costs, paperwork, and errors. Foodservice retailers can also look to technology to deliver easy ways to interact with a menu, enabling tableservice and limited service restaurants to attract new customers and sales. Such features as table, tab, tip, and delivery management can help make restaurant operations much more effective. 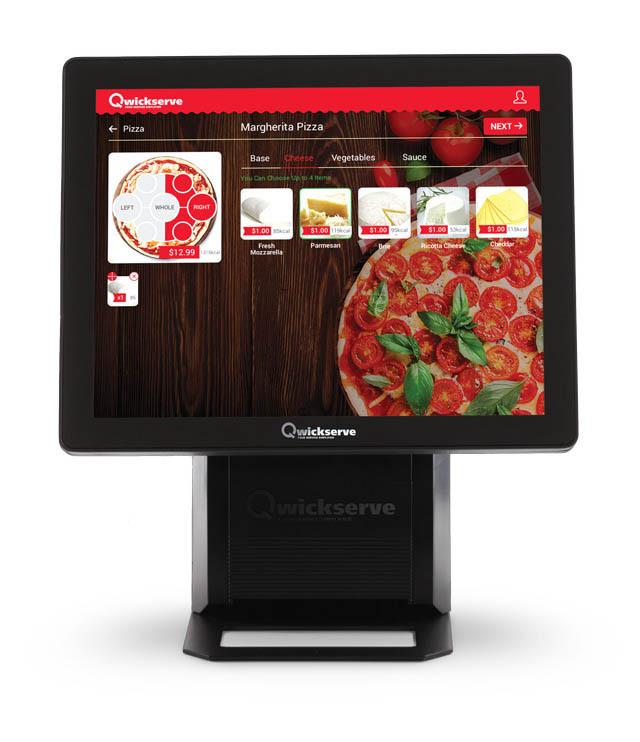 Qwickserve delivers a customized retail experience at every consumer touchpoint. Foodservice retailers upload their company’s branding quickly and easily and apply it across the platform. Whether customers order at an on-site made-to-order kiosk or from their personal device, a store or restaurant will be branded throughout the entire foodservice process. For the customer, Qwickserve is all also about control. Images, ingredients, pricing and even nutrition information are easily accessible, ensuring an ordering process that is precise and hassle-free. The Qwickserve Kitchen Prep Station streamlines the ordering process by placing orders received from the Qwickserve Kiosk in a queue, providing recipe preparation instructions and preparation time. 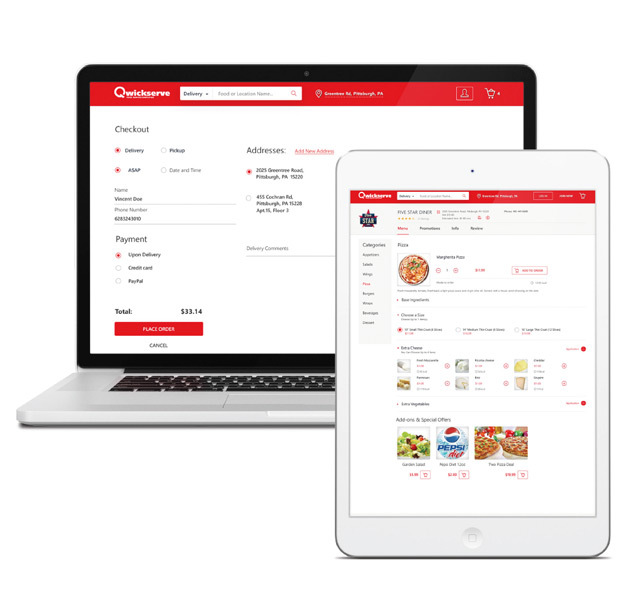 The Qwickserve Online Ordering solution can help foodservice operators provide a fast, easy, and convenient way for their customers to order and pay for their food online, avoiding lines and reducing tension and human-error factor.